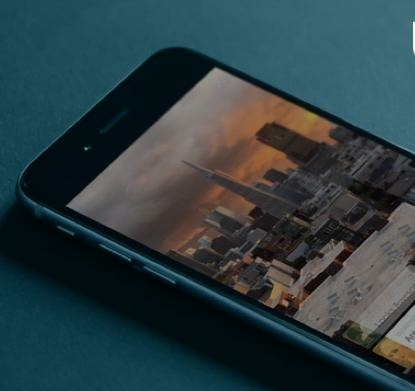 Two weeks after confirming it had acquired Periscope, Twitter has launched the live video streaming app to compete with buzzed-about Meerkat. Both apps post live-streamed video to your Twitter feed, but Twitter has now blocked the competitor from accessing follower/followed lists. The United Nations' Human Rights Council has voted to appoint a watchdog -- "special rapporteur" in UN-speak -- to monitor privacy in the digital world. The post comes with mostly advisory powers, but the move, backed by Germany and Brazil, is seen as important amid concerns about surveillance by the U.S. and other countries. Microsoft isn't slowing down on the acquisitions front: It's just picked up LiveLoop, a startup that lets people broadcast their PowerPoint presentations online, GeekWire reports. LiveLoop is shutting down its platform on April 24. Microsoft confirmed the deal to GeekWire and said the team will be working on collaboration across Office applications in its new home. The U.S. military's Defense Advanced Research Projects Agency is developing new technologies to deliver an advanced position-tracking and navigation system that is more reliable and accurate than GPS, which can be jammed. The advances don't mean GPS will go away anytime soon, though, since DARPA's research is known to take years to turn into actual products. Dutch authorities raided Uber's office in Amsterdam on Thursday in an ongoing investigation into its UberPop service, which a court has ruled is illegal in the Netherlands. The service connects users looking for a ride with drivers using their own private cars, and Uber has been flouting the ban since it's already hit the ceiling on fines for violations, €100,000. The raid sought information on the size of the UberPop operation. Come spring, the cherry blossoms are out in Japan for just a brief time, and finding out when to time your "hanami" -- a picnic under the trees -- is a national preoccupation. Now smartphone apps are coming to the rescue, including one that uses crowdsourced reports to provide forecasts for when cherry blossoms will bloom at 700 famous viewing locations across Japan. Salesforce.com chief Marc Benioff has cancelled the company's events planned for Indiana to protest the state's governor signing a bill that makes it legal for individuals to use religious grounds as a defense when they are sued by people who are lesbian, gay, bisexual or transgender, re/code reported. He told the site, "We can't bring our customers or our employees into a situation where they might be discriminated against." HP is planning to sell a majority stake in its Chinese data networking business, H3C Technologies, to Tsinghua Unigroup, reported The Wall Street Journal. HP appears to be reducing its exposure in the Chinese market, yielding to local companies, following closer scrutiny of multinational firms by the local government. On World Tech Update, Facebook brings Messenger to businesses, Ford debuts technology that helps drivers avoid speeding tickets and astronauts prepare for a year in space. How are so many tech startups getting to multi-billion-dollar valuations? This Bloomberg analysis reveals the fuzzy math and backroom deals that are creating a herd of unicorns.